I started running about 2 years ago. 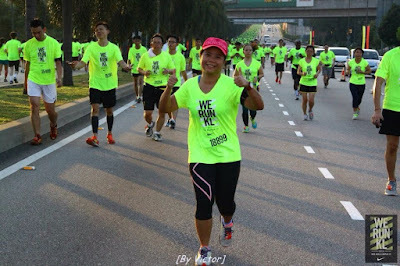 I did my first 10k at Great Eastern run in Johor Bahru in Dec 2013 and my first half marathon in May 2014 at the Sundown Singapore. I was coaxed into doing my full Marathon, the Penang Bridge International Marathon, the same year by a friend who told me “the registration fees is only an additional RM10 & I get an extra finishing Tshirt”. The gullible me bought the rational and did my first full marathon in excruciating 7 hours. Nevertheless I enjoyed the experience. 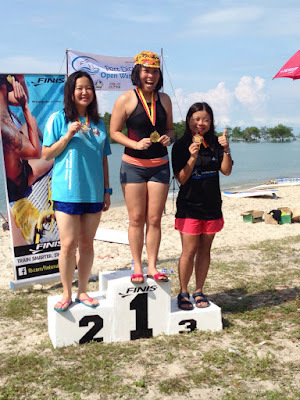 I always loved swimming and was introduced to open water swimming last year. 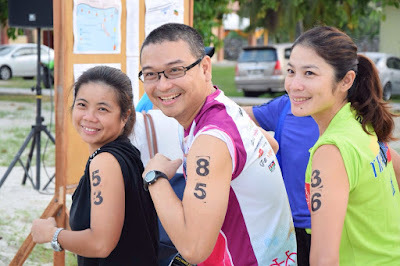 I joined the Kapas Marang Swimathon which is a 6.5km swim from Pulau Kapas to Marang, Terenganu to challenge myself. 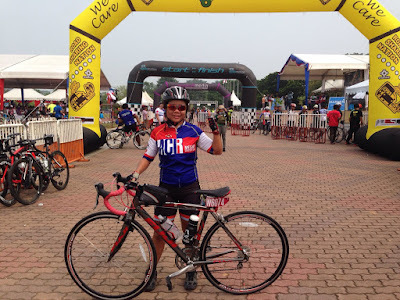 I thought to myself, "if I could already run and swim, why not cycle as well?" Hence I bought my bicycle in Oct 2014 but only started cycling regularly in the middle of this year. Swimming, cycling and running helps me to relax and be more positive towards life. It is a great way to make new friends. 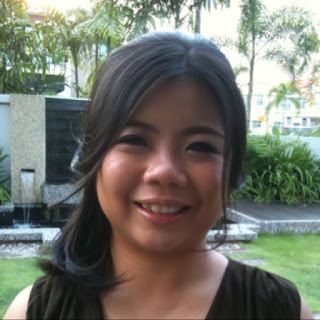 I knew very few people in KL as I just relocated here in June this year. These activities have made me new friends like the runners from Saturday Beginners Group. Losing weight doing all these activities is also a bonus. I have lost about 13kgs and am a lot leaner since I started 2 years ago, so I feel less guilty eating my favourite spicy foods & mee rebus Johor. I get a sense of euphoria when I cross the finishing line. The feeling is more intense in tougher events, like a full marathon or half ironman. I am not a fast runner nor cyclist so I cannot compete on speed. 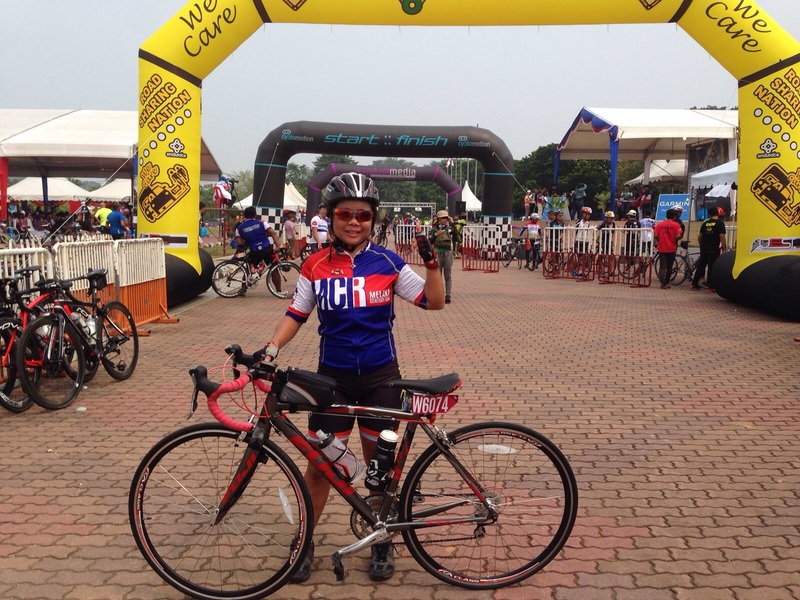 Instead, I like to do endurance sports because this is where mental power overcomes everything. In sports, my inspiration is Sister Madonna Buder. She is currently the record holder for the oldest woman to complete a full Ironman race. She is a late starter, started running only at the age of 48 and triathlon at the age of 52. Despite many challenges, she was persistent & never gave up pursuing her dream. She is a classic example of 'never too old & never too late' to start something. 3rd place in my category at 2km open water swim event at Port Dickson on 29th Nov.
Before the start of 2km open water event. 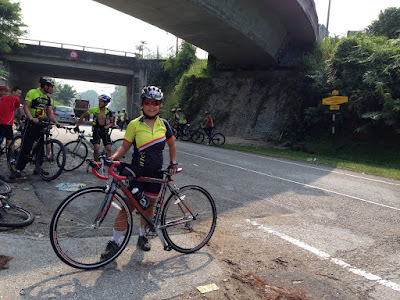 At the Melaka Century Ride, my first 160km ride. At Genting Sempah on a Sunday.